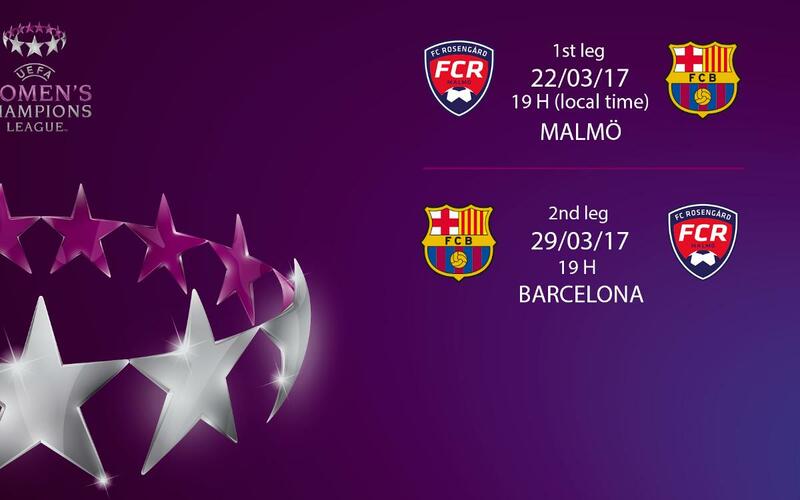 The date and times of FC Barcelona Women’s Champions League quarter-final tie against Rosengård in March have been set. The first leg will take place in Malmö on Friday 22 March at 7.00pm CET while the return leg will be seven days later on 29 March, also at 7.00pm CET. It will be the third time that Barça’s women will be competing at this stage of Europe’s top competitions. Last year, the team was knocked out at this stage by Paris Saint-Germain. The home leg of that tie saw a record attendance at the Miniestadi of 8,369.